In this workshop, participants will create images by experimenting with Katazome: making rice paste & soymilk with traditional recipes, stencil cutting, application of a variety of natural dyes and mordant, and then setting colors to complete the process. We will observe objects in nature from the surroundings of Shakerag, such as leaves, flowers, and branches, to get a sense of the Japanese aesthetic. 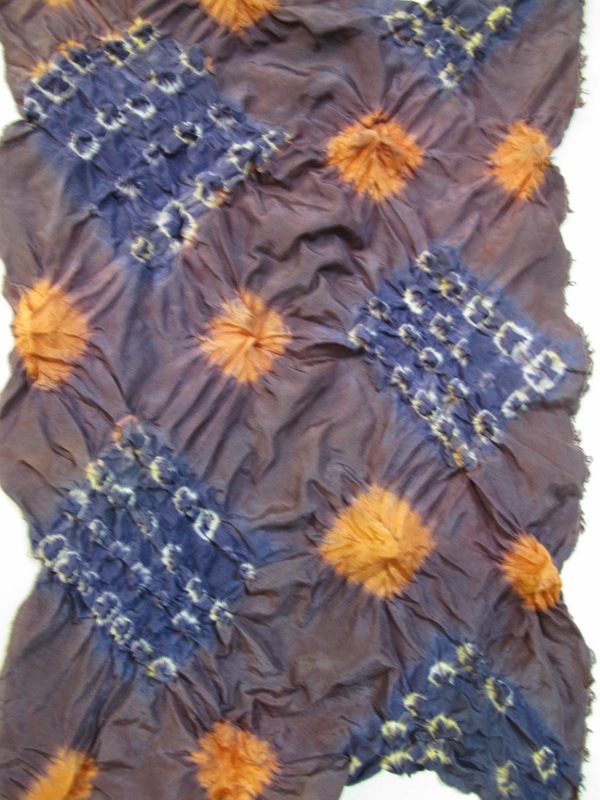 Explore images on natural fabric with various shades of indigo blues and various natural dyes, such as Cutch, Osage, Cochineal, Madder applying Shibori resist techniques. Over-dyeing natural dyes and indigo creates tasty colors. Although indigo and natural dyeing have been applied to clothes and interior decorations for over 700 years in Japan, the harmoniously beautiful colors appear "contemporary" in our modern life style. Students will experience various Shibori techniques, such as stitching, pleating, twisting, clamping, wrapping, folding and binding, then submerge resisted fabrics in the indigo pot and/or natural dyes. Hope you can explore your creativity in these workshops!